It’s flu season again in America. 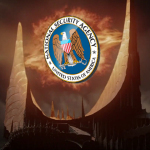 Which means that every Walgreen’s, CVS, school, and hardware store here in “the land of the free” and the home of the NSA seems to be relentlessly pimping and profiting from flu vaccines. 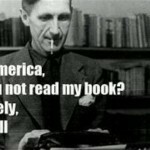 Which also means that we are well served to remember that once upon a time, not that long ago, in a galaxy not very far away, things like the measles and the flu were not a big deal. I repeat: Not a big deal. Which is not to say that these things didn’t cause harm and even at times kill people, which they certainly did (and still do). It’s just that we weren’t afraid of them. 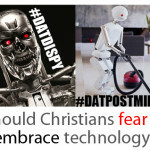 We weren’t terrified by their popping up every now and then in our communities. We were more reasonable and more responsible back then. We were more sane, chill, and balanced. Put another way: We were more like something called “a thinking adult”. 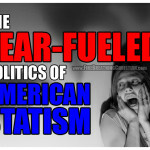 But the times, they are a-changin’, and here in Snowflake America – a land filled with and defined by mass pride, mass ignorance, and mass State-dependence, things like the measles and the flu are an absolute terror – a terror relentlessly (albeit comically) pitched by the State and its dependent, snowflakey little children as the plague by which humanity may well come to an end if we don’t get those idiot vaccine skeptics to just shut up and get with the program already. 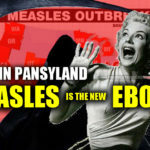 We covered this tragi-comedic desperation on the part of State and its vaccine-promoting disciples in an article published back in 2015 entitled “MEASLES!!! RUN FOR YOUR LIVES!!!“. Nevermind the skyrocketing of serious conditions like autism and auto-immune afflictions of various sorts since the CDC vaccine schedule was radically ramped up to the point of making it “the new normal” for American children to be pin cushions injected with all manner of toxic garbage. Nevermind that what was once an ultra-rare condition (autism) is now staggeringly common…and projected to impact one in two American children in roughly twenty years’ time at the current rate of increase. 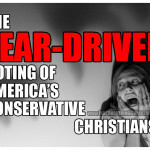 Talk about an existential threat to civilization! 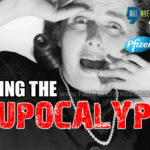 And remember (or talk to someone who does remember, which shouldn’t be too hard since the aforementioned CDC vaccine schedule rocket-style ramp-up began in the 1980s): There was a time when the measles and the flu did not inspire the rampant fear (and very profitable promotion/marketing of fear) that they do today. That was before the age of the American Snowflake. That was before the age of American-children-as-vaccine-pincushions, which just happens to have also been an age of generally healthier children. Since becoming the most vaccinated people on earth, we’ve become among the sickliest. But, of course, where vaccines are concerned, that’s just “an unfortunate coincidence”. 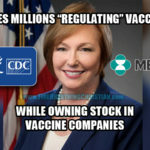 So says the State and its Corporate owners…who just happen to profit incredibly from the ramped-up CDC shot schedule that is “coinciding” with the autism and auto-immune epidemics sweeping the land. And because the State and its Corporate owners have spoken, we’re not supposed to ask any pesky questions of those pimping and promoting vaccines as “necessary for the greater good”. Questions like: Have you ever even read the insert included with the MMR vaccine (for example)? 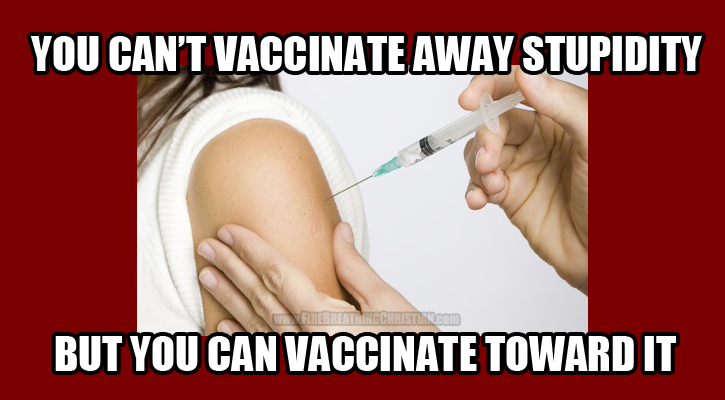 Have you ever read a list of vaccine ingredients? Have you heard that the CDC has been caught egregiously suppressing/altering studies that, before alteration, pointed clearly toward a solid link between the MMR vaccine and autism? Do you believe in the concept and necessity of informed consent where things like vaccines are concerned? If so, does it bother you that most in pro-vaccine leadership positions openly trample (and encourage trampling) the concept of informed consent when it comes to convincing/coercing/forcing parents to inject their children with dozens and dozens of products that have not been properly tested? Does it bother you to know that in the 1980’s the American State indemnified its vaccine-producing Corporate owners, offering them unique protection from the normal legal consequences that would come if a vaccine could be proven to have injured a child (or a thousand children)? 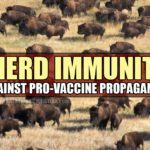 Did you know that VAERS (the Vaccine Averse Event Reporting System), the mechanism that the American State put in place of normal routes to litigation where vaccines are concerned, has paid out billions of dollars to victims of vaccine injury? Make that over 3.5 billion since it was founded in the ’80s. With around $200 million paid out just last year. That’s well over three billion dollars in just a few decades’ time, paid out to partially compensate some victims of injuries caused by the vaccines that we are constantly encouraged to believe are “completely safe and effective”. Educate yourself instead of relying on State-sanctioned “professionals” to do your thinking for you. Stop being an easily manipulated member of their increasingly sickly and dependent cattle. Start being a responsible, critically thinking adult…before they finish vaccinating those sorts of qualities completely out of the herd. 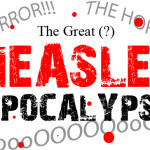 MEASLES!!! RUN FOR YOUR LIVES!!! 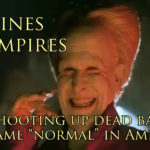 Vaccines & Vampires: How shooting up dead baby bits became “normal” in America. 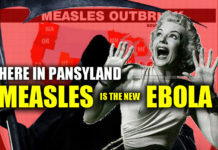 If we weren't afraid of these diseases before vaccines for them existed, then why were homes where people contracted them quarantined and children with them banned from school until they were cleared by a doctor? This happened in my family when my sister, brother and I contracted chicken pox in the early 1960s. Why were parents afraid that their sons approaching adolescence might get mumps for fear of it causing sterility? Once a rubella vaccine became available, why did doctors advise engaged women to get it because of the effects of rubella on an unborn child? Perhaps you are too young to know this, but people used to become crippled or die from polio before effective vaccines existed. It happened in my father's family and was not at all uncommon. To say that it may be valid to space out vaccines for children or that there is no "one-size-fits-all" vaccination schedule for every child is reasonable. To say that vaccines do not save lives, prevent disease or illness, or lessen the severity of illness is something else and is patently false. The number of influenza cases this season would undoubtedly be much worse if no one chose to receive a flu vaccine.